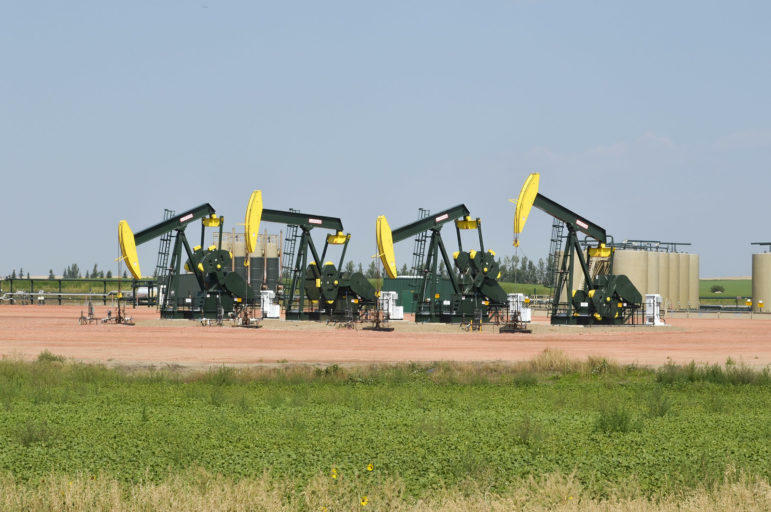 Pumpjacks extract oil in western North Dakota. For some, that means the oilfields in Texas. For others, different rock formations still in North Dakota. Many of their former wells are located on the Fort Berthold Indian Reservation. Fort Berthold operators are facing a problem with flaring excess natural gas. Flaring has spiked in recent months due to temporary shutdowns of a pipeline and a processing plant, though Helms said those delays have passed. Helms said flaring could persist due to a lengthy Bureau of Indian Affairs’ permitting process for new pipelines. This all poses a challenge for these Bakken newcomers. Overall in North Dakota, oil production is up slightly to 1,085,000 barrels per day, the most recent figures from August. This is the first month in nearly a year that oil has climbed more than natural gas production. Helms said he think it has to do with the Bakken’s sweet spot -- the area around Watford City where oil producers can get the most bang for their buck. This happens to be where there’s the most natural gas that comes to the earth’s surface alongside oil. “We now have 10 rigs that are working on the edge or outside the core area,” he said. Those rigs are located further out into Williams and McKenzie counties, and even into Billings County, where he says it’s simply less gassy.